LOOKING FOR OWNER OF GOLD WEDDING RING. SHARE AND FIND! You are at:Home»Caught In The Act»LOOKING FOR OWNER OF GOLD WEDDING RING. SHARE AND FIND! I found this ring in Singapore. 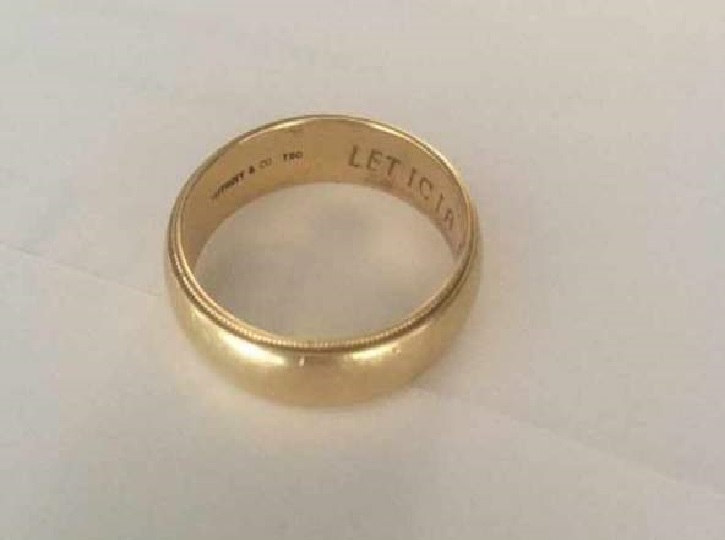 It looks like a wedding ring and it has the name Leticia in it with a date. It could be from a person that still lives in Singapore or used to live in Singapore. Lets see if social media can do wonders and get the ring back to Sméagol. Please share. Next Article TWO CARS ON FIRE AFTER ACCIDENT ON BKE LAST NIGHT!